Raisa and Misha: Tervetuloa! Welcome to our blog! Tervetuloa! Welcome to our blog! Hi! We are Raisa Raekallio and Misha del Val. 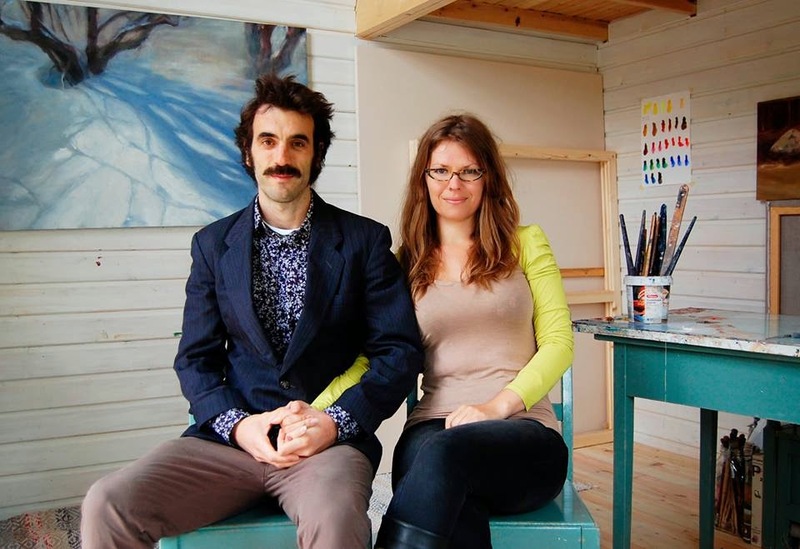 We are painters located in the village of Sirkka in Lapland, Finland. This is the blogsite of our work in collaboration. We will be periodically posting updates about new artworks, events, news, etc. Our work in collaboration takes the form of making paintings together, drawings and action-based works. Besides of our own individual works, chiefly produced in the shared environment of our studio, our collaboration includes doing paintings together: we work on the same canvas at the same time.